BG 350NW Stretch fencing Jacket with functioning lining. Home > Fencing OUTFIT and Lame > Fencing Jackets > Regular Competition Fencing Jackets > BG 350NW Stretch fencing Jacket with functioning lining. 100% durable and strechable synthetic outside. Machine washable. Does NOT shrink after wash. 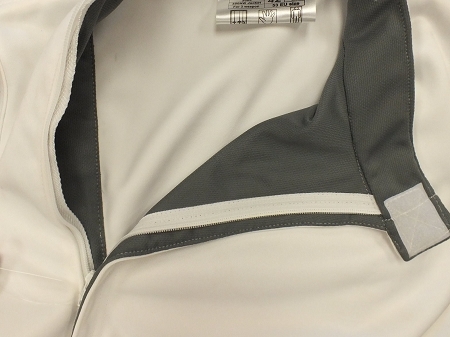 Inside lining features patented moisture wicking technology with anti bacteria and anti odor capability. European designer fitting ensures appearance in addition to performance. 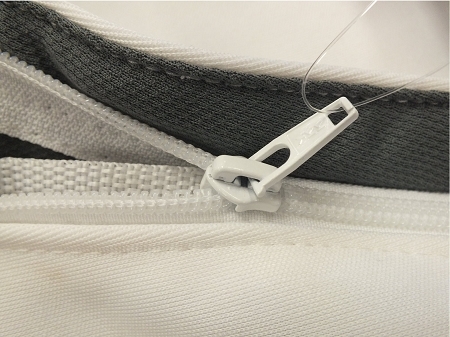 Brand name zipper dramatically improves reliability. This 350NW* certified, high quality, and stretchy Jacket** is the best in its class for durability and protection. This jacket features an internal lining with anti-bacteria and anti-odor protection. This jacket helps regulate body temperature and maximizes your performance. 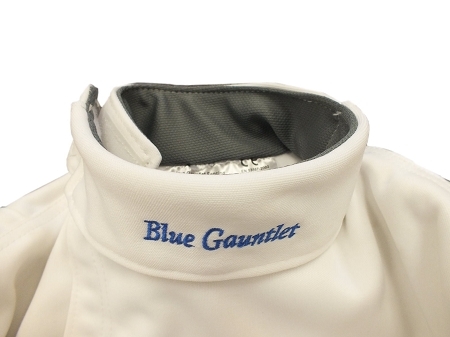 We highly recommend this jacket for beginner and intermediate level fencers. * The fabric test rating is 510NW. ** This jacket is machine washable and must be hung out to dry. *** Female jackets come with inside pockets for breast protectors. I bought this jacket for my son at the tournament at NJFA, NJ last month, and ever since my son has been refusing to wear his old jacket. It feels a little heavy but it definitely provides the protection one needs. I want to buy a second one but too bad they only had one left in stock. So now I am here buying another one directly from Blue Gauntlet! I bought this jacket along with the same style pants and I love that they are anti-bacterial as well as moisture wicking and odor absorbant. 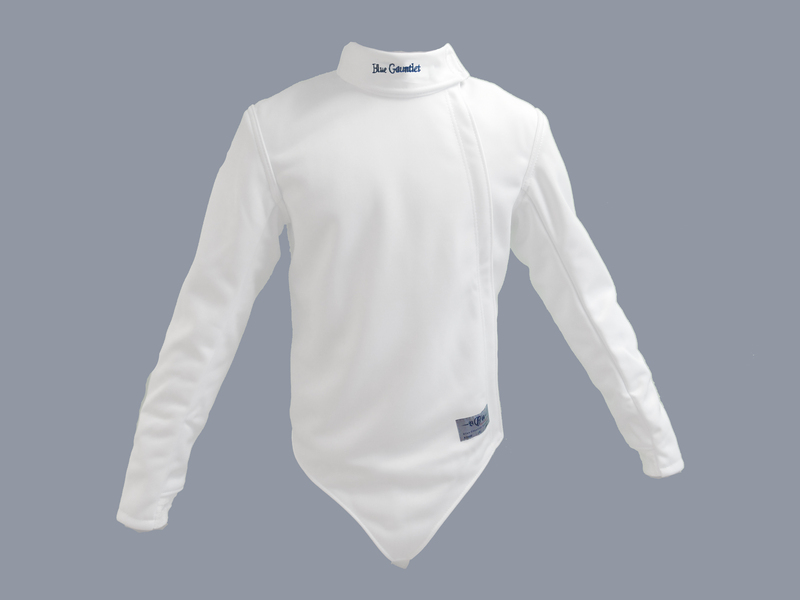 I fence epee and this jacket is great for me because it provides a lot of protection.